This article has already appeared on the Turning Pro Website, but I thought I would share it here. Carolyn Mendelsohn – How it came about. The idea came in a flash fully-formed as I was sitting down having a coffee with old friends, talking about photography. I had been planning on running a residential; I knew I wanted to create a workshop where people would really be able to challenge themselves, and I would be there to facilitate the development of their photographic portraiture skills. Sitting with Julie and Steve, I suddenly saw it very clearly. Ponden Hall as the base; the moors; Emily Bronte (She used the library here !) and the stories of the people who have lived and still live here. This site specific residential, was to be very much about the art of portraiture (from my perspective), using the location , stories and literature associated with it, at the heart of it all, as a wonderfully creative starting point. It would have location shoots, lifestyle and fashion shoots as well as inspiringly creative skill building workshops . Julie Akhurst and Steve Brown (the owners) were amazing ! They loved the idea, even though it came tumbling out of my mouth unplanned but fully formed with enthusiasm. They didn’t stop to think , they said ‘Yes” instantly. That is part of the magic of it all, and why we all forged ahead to create an experience that people would be unlikely to forget. Eight short weeks came and passed, we were ready and prepared to start . I had spent time having prepped the amazing hosts, the MUA, the stylist, my assistant and models . My participants were involved as soon as they signed on, with an active Pinterest and Facebook page. Every shoot organized, locations scouted, multi media presentations done, film screening rehearsed, and residential planned to the smallest detail. Everybody was set, everybody was excited. I felt a mixture of fear and excitement, the right kind of adrenalin to make things happen. There was something special and magical about the whole experience. Even the weather on the last day was suitably ‘wuthering’ for the fashion shoot, that in itself sets it’s own challenges but also creates the right visual atmosphere . 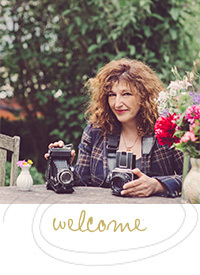 Caroline Brown – Vintage Specialist and Stylist. With squelching feet and a constant dripping of wet hair onto my face, halfway up the mist-enfolded moors; arms laden with a copper lantern, a 1920’s cape and a bag full of pegs and safety pins, this was my first outdoor location photo shoot as a Stylist. And I felt a greater euphoric creative buzz than any that I had known in a long time. Ten of us, each with our own role, were shrouded in mist and doused by drizzle, but there was a palpable spirit of teamwork and a focused determination to create something beautiful and emotive to convey the powerful drama of Wuthering Heights. In my discussions with Carolyn about the brief it became clear that the clothing should be more about the mood and drama of the characters, rather than a literal interpretation of the era. So I devised seven outfits which spoke to me of Cathy’s personality – at times ethereal and fey, and at other times wilful, charismatic and egotistical, giving the outfits an almost gothic twist and a contemporary edge too, with strong lines and shapes. The photographers responded with incredibly startling and mood-laden shots, creating different strands of narratives and transforming our models, Hannah Muirhead and Aisling Serrant, with the expertise of Make Up Artist Lauren Rippin into the different sides of Cathy, and capturing the bleak but breathtaking mood of the moors. The shoot moved to the interior of Ponden Hall, and my vision of the models wearing alternative textures, strong or flowing shapes and rich colours, to offset the hard stone of the building was beautifully rewarded by the photographers and models, as they captured both the melancholy and the whimsical sides of Wuthering Heights’ lead character. I would repeat the experience at the drop of a top, or bowler or deerstalker hat (and next time I would remember to wear my own the weather demanded it). From the moment I saw a blog post about Carolyn Mendelsohn’s Creative Residential based on Wuthering Heights my heart started pounding. Carolyn’s images are so breathtaking and compelling I just had to become part of this creative adventure. So with thoughts of blustering winds and misty moors, I headed off to stay at the characterful Ponden Hall, seeped in history and used as the Wuthering house in Emily Brontë’s novel. Owned by the most wonderful family, I had a most warm welcoming. On meeting the lovely Carolyn and other photographers we discussed how the two days would unfold. At first light we ventured down to the reservoir. While all of us were wrapped up warm, Kizzy braved the cold water dressed in a vintage wedding dress, this shoot was reminiscent of lingering mournful days, with the cold wind blowing through her hair and dress. The afternoon was completely different we went on a dinosaur adventure with a giggly 2 year old and his mum. That evening after a lovely meal we collapsed on the comfy sofa, drank hot chocolate by the roaring fire and watched the 1939 Wuthering Heights. Just as well this was the light and fluffy version, as I may not have slept very well thinking of Cathy at the window! ‘Let me in—let me in! We arose early again to photograph Kizzy in the mist, up on the moors by the stone wall. Late morning was spent with Carolyn giving us a ‘real’ fashion lifestyle photo shoot brief. After discussing how the make up artist and stylist work, meeting the models, I had a vision of how I wanted to photograph this shoot. I sketched out some ideas of locations and poses, so I would be more prepared. Inspired and prepared we ventured up to the moors. With a thick mist passing over, lashing rain, the environment was synonymous with the novel. My lens even misted up like a visionless cloak! Carolyn’s insight and vision for this residential has provided me with more inspiration and a renewed passion for my photography. Thanks Carolyn and everyone involved, I am still buzzing from my experience. I will never forget my immersive experience . I first heard about the workshop on ProPhoto’s twitter feed and was instantly intrigued. The literary theme of the course and the prospect of shooting on the Yorkshire moors hooked me instantly! I first read Wuthering Heights when I was 15 and went on to study English Literature for my first degree. I spent my teenage holidays roaming the North Yorkshire moors but now live in Edinburgh – just the idea of shooting fashion on the moors set my heart beating faster! When I arrived at Ponden Hall, the incredible B&B that hosted the residential, I was blown away when I was shown to my bedroom – ‘The Earnshaw Room’ – with its Wuthering Heights style box bed, log fire and library of antique Bronte books. We were taken on a tour of Haworth by Bronte expert and Ponden Hall owner Julie, followed by a delicious afternoon tea with freshly baked scones and cake that she’d rustled up earlier. 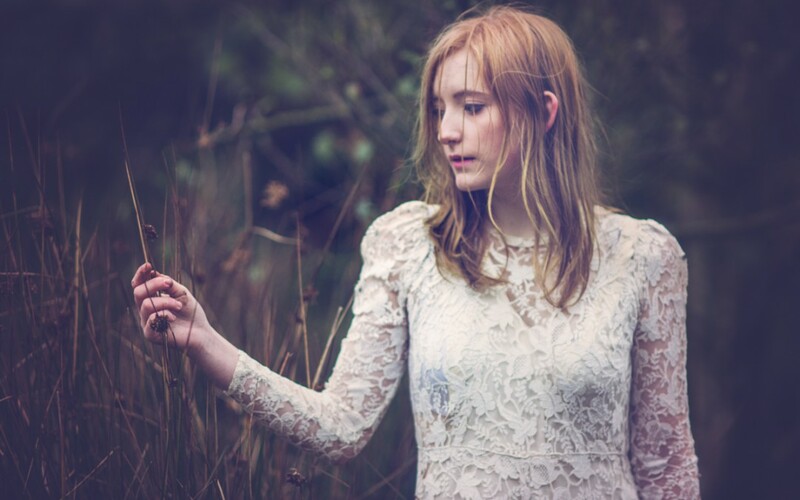 We did a quick location scout of the nearby moors and woodland and began to plan and pre-visualise our shoots in our first session with Carolyn. The next morning we were up at daybreak to do a first light portrait shoot. We took it in turns to direct our model, using different backdrops around the reservoir next to the house. I had never done a sunrise shoot before (I’m not really a morning person!) but the light was so beautiful, we decided to do another one the next morning as well! Carolyn was great at letting us get on with setting up our own photographs, giving us occasional tips and things to consider whilst allowing us to take turns in directing each shoot. She gave us suggestions but didn’t impose a ‘certain way of doing things’, instead encouraging us to celebrate and develop our own personal style. The fact that numbers would be limited to a small group was a huge selling point to me when thinking about doing the course. I don’t think I would ever go on a workshop where 10 or more photographers are all participating in one shoot. Because of the size of the group, it was possible for us to have a lot of ownership over the shoots and to create distinct photographs out of each one. It also meant that there was time for individual portfolio reviews and one to one mentoring. 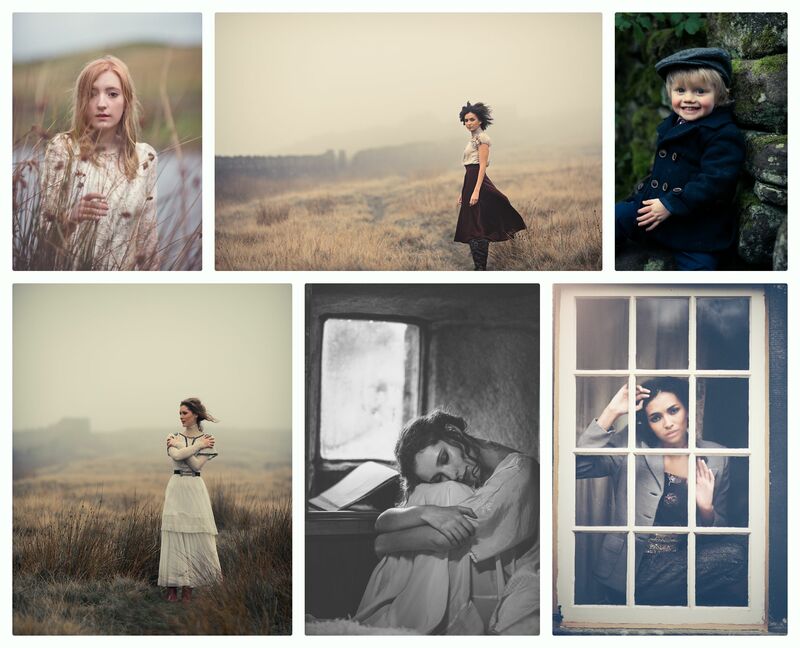 On day three we took to the moors for an epic fashion shoot, loosely themed around Wuthering Heights. The weather was suitably blustery and ‘wuthering’ – a heavy mist descended on the moors the day of the shoot and we all got rained on, but this added a special sense of atmosphere to the photographs which could not have been manufactured! We then dried off and did a further shoot in Ponden Hall – a fantastic location in itself, dating back to the 1500s and decorated in sympathy with its heritage. I had high hopes for this photography residential and the reality not only met them but exceeded them on every level! Carolyn’s expertise as a facilitator, the wonderfully warm hospitality from all at Ponden Hall, the stunning location, the professionalism and talent of the stylist, MUA and models all contributed to an amazing few days I will never forget. I am so happy with my images from the shoots and could not have made them without any of the above contributions from such a lovely group of people.